A Photo-Booth is a hit in the Smart-Phone age! Almost everyone loves to take pictures so sharing photos with family and friends and flooding social media timelines will most likely appeal to your guest! Here are some benefits to consider! Photo-Booths help people socialize and network. As a result, conversations are created in the Photo-Booth line. Before you knowit, your guest are getting in each others pictures. Next they will all be on the dance floor because they became friends with each other while taking pictures! Pictures serve as a memories. Photo-Booths are great for marketing your event. People take photos and flood their social media. As a result, your event can become a trending topic! You can brand and customize your photo prints with your event palette and logo. You can take your photos with customized props, which in return creates a fun atmosphere. 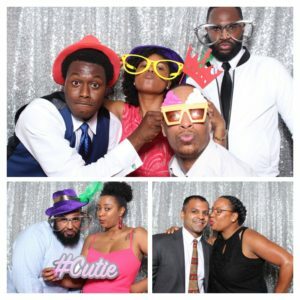 To Book Our Photo-Booth in the Detroit Metropolitan Area…. Previous PostThe Safer The Better!